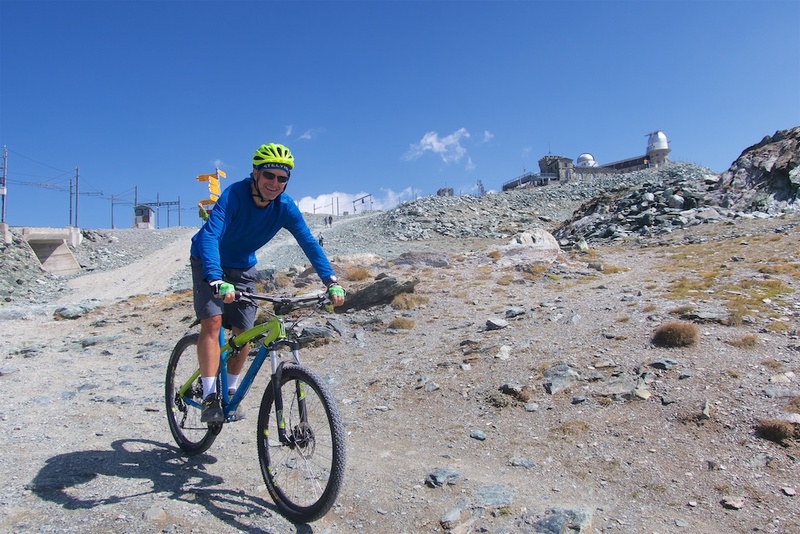 It’s not easy to get above 3000 metres on a bicycle in Europe. But it’s always worth the effort. 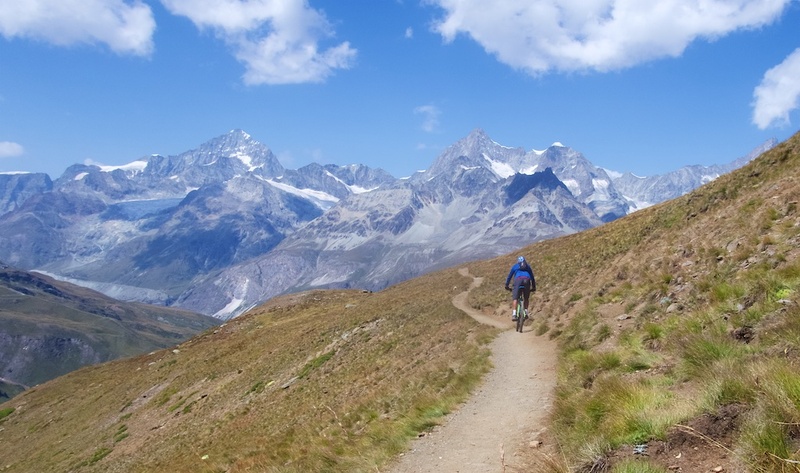 Gornergrat is a high rocky ridge in central Switzerland high above Zermatt. 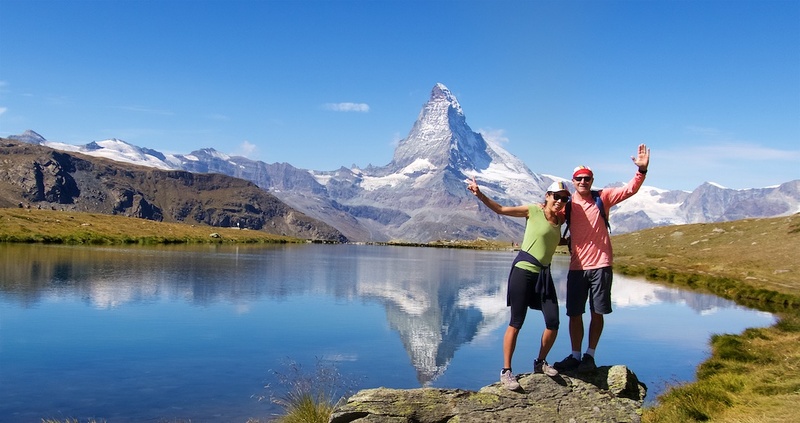 It has dominating views of nearby Monte Rosa (the highest mountain in Switzerland) and of the Matterhorn. There is a tourist train to the summit, and skiing here in winter. To call the surroundings beautiful is an understatement. Doreen and I were in Zermatt for 4 days to celebrate our 20th wedding anniversary. 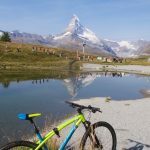 3 days were filled with fabulous hiking, and one day I rented a mountain bike to attempt the Gornergrat ascent. 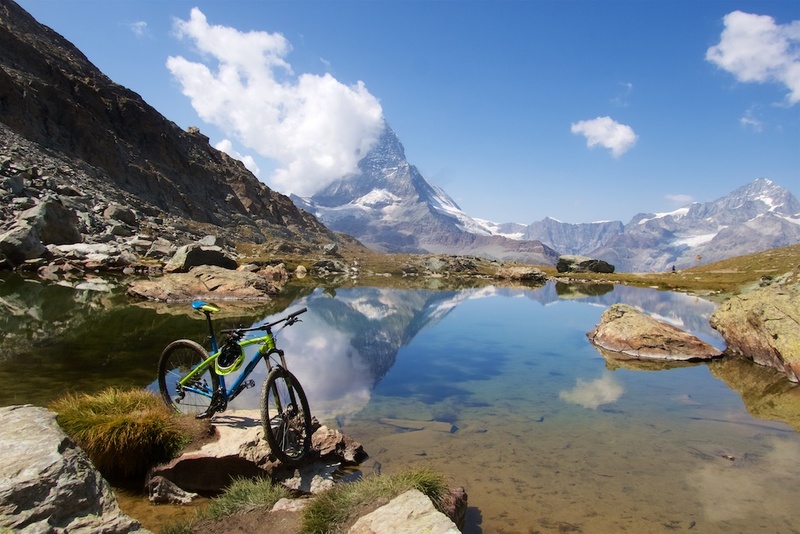 Stellisee, the Matterhorn. Hiking with my lovely bride. This is the second highest I have ever been on a bike. 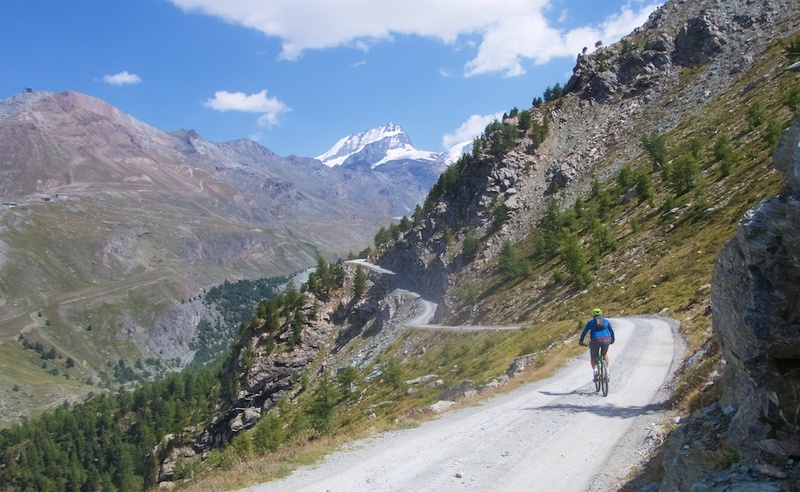 See here for twenty of the highest unpaved Climbs in Europe. (I need to add this to the list). 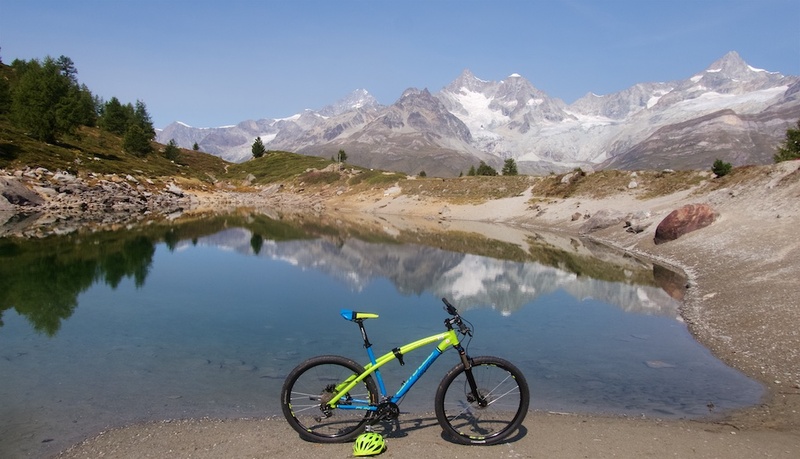 My bike ride started in the heart of Zermatt (1608 metres). There is a bike sign at the start, and the route is occasionally if not perfectly signed. 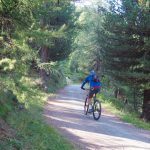 Initially, it heads up a good quality gravel road through a light forest, getting above the tree-line as it reaches Sunnegga (2288m). The next stretch from Sunnegga is the only complicated part of the route. The road higher to the next cable car station seemed too steep to ride. So I took a hiking trail down and past two little lakes Leisee, and then Moosjisee. From here, there is a short, steep, rocky road on the left just past Moosjisee that soon joins a good quality road that goes all the way to the summit (ignore the hiking sign here or you’ll be hiking steep lacets). See map at bottom of post. There are other options on this short stretch, but mine worked well, and gets to see two nice lakes. The road hairpins up past a nice hotel/restaurant, perfect for a drink and a refilled water bottle. Then I made a small detour to Grünsee. Above Grünsee is a not difficult but fabulous stretch of cliff road heading higher. Turning the corner, above Riffelalp, the route runs beside the tourist train for a long stretch. From this point on, the route is very difficult. In my posts I try never to drone on about how much I suffered or how difficult something is beyond providing the info you might need. So here goes: The final four kms are tough. The route is not technical/scary/dangerous. It is always a wide, reasonable quality, gravel road. For me, someone of perhaps average ability, it was always just on either side of ride-able due to steepness/rocks. I pedalled perhaps 75% of it. Sometimes at painfully slow speeds. But a strong rider should be able to pedal it all. Higher, the road is on open ski slopes. Fabulous views but hard work. 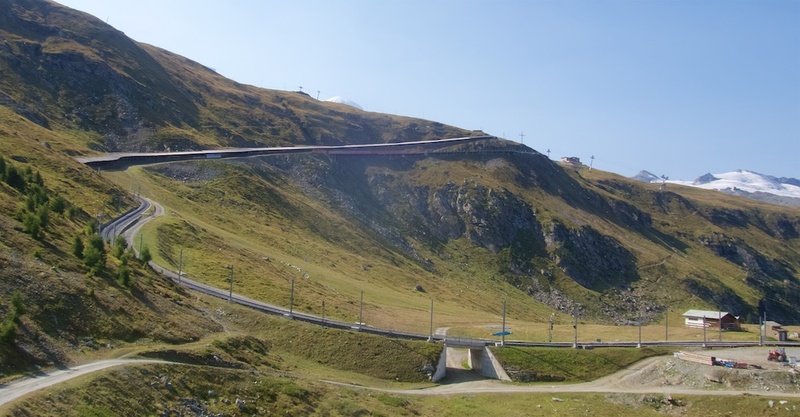 Approaching the summit, the route goes under the train tracks and up beside a ridge that overlooks glaciers and the various summits of the Monte Rosa massif. I, of course, fooled around taking lots of photos. Wow. It’s quite a big complex at the summit. And while I saw virtually no-one for the entire ride, here will always be full of tourists who took the train up. If you’ve come this far, keep going. Almost the easiest part of the ride are the little ramps through the crowds/restaurant and up to the very summit. The Gornergrat train station is 3089 metres. 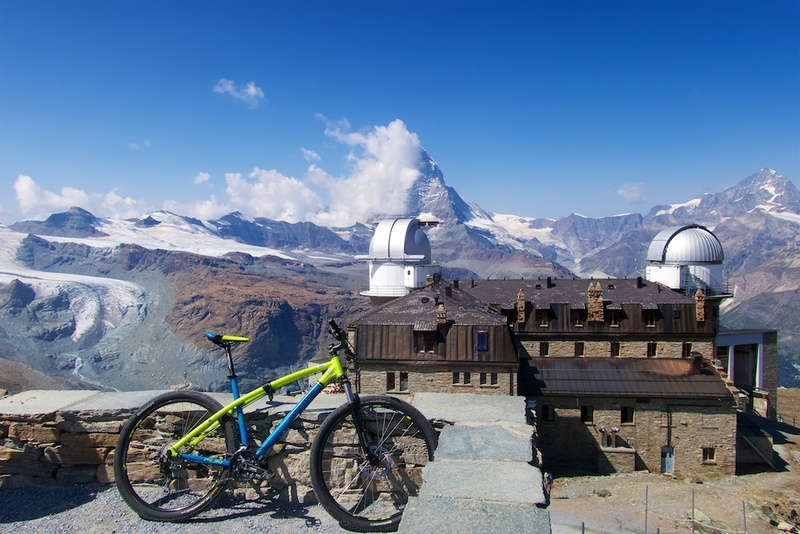 The Observatory / Hotel and the Matterhorn. View from 3135 metres. 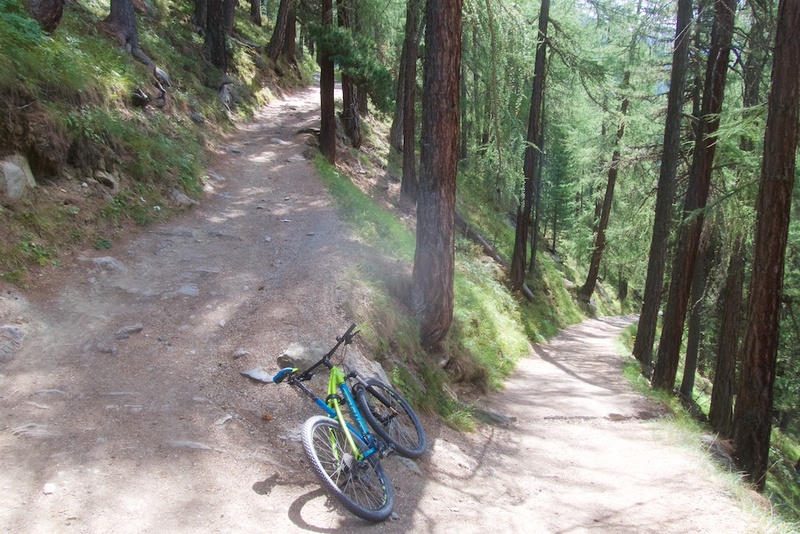 I would descend some very interesting trails down to Riffelsee (and a smaller unnamed lake below it). From here there are a few options. 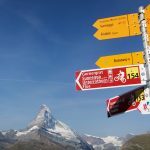 But generally you need to follow signs to Riffelberg (my route), or more aggressively to Riffelalp. Another day we hiked the straight down route that doesn’t turn right to either of these …. and you would be carrying your bike for kilometres. My advice: follow my route. Reaching Riffelberg, I rejoined the road I climbed, descending until Moosjisee. 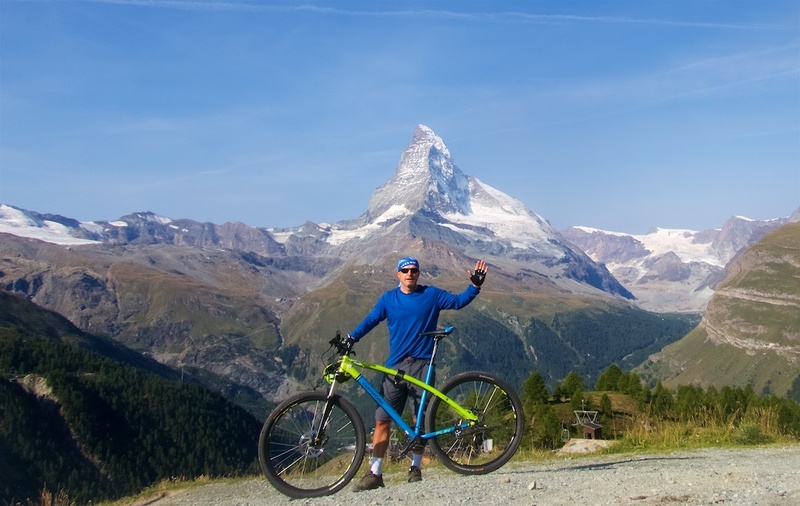 Here, I had one more fun idea and took the trail/road to Findeln (tiny mountain village with several gourmet restaurants), all the way down to Zermatt. This …. ride …. was ….. AMAZING. Challenging, but so quiet (the crowds here are bunched around train/ski lift stations/Zermatt). Highly recommended. Fantastic views. My parents spent their honeymoon in Zermatt and took us there for their silver wedding anniversary. I’ve hiked your route and it is definitely steep. Well done for not giving up! You have been doing some BIG rides lately. Bravo! And of course even bigger congratulations to you and Doreen for 20 years sporting on together. Keep going strong! 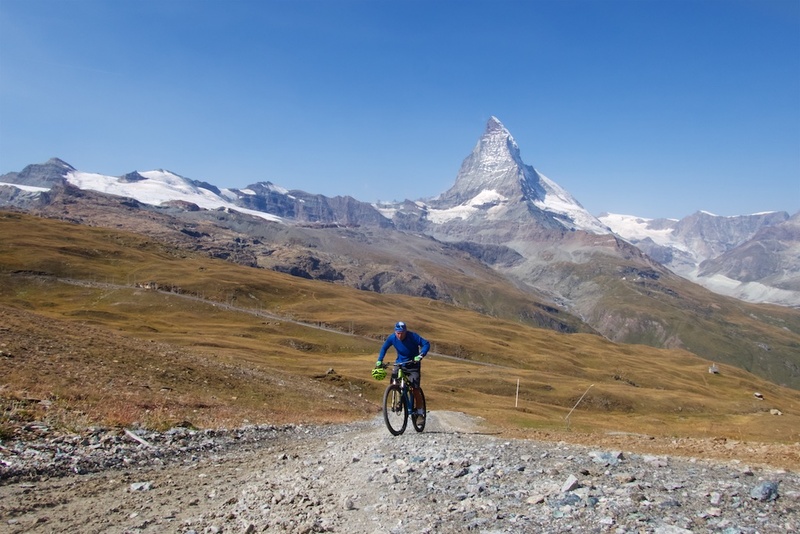 Is it possible to go up the Gornergrat with a roadbike and slightly bigger tyres? Maybe 32mm? It’s always a tough question. It depends how fussy you are. It’s not the worst surface, although the descent is at times rougher. 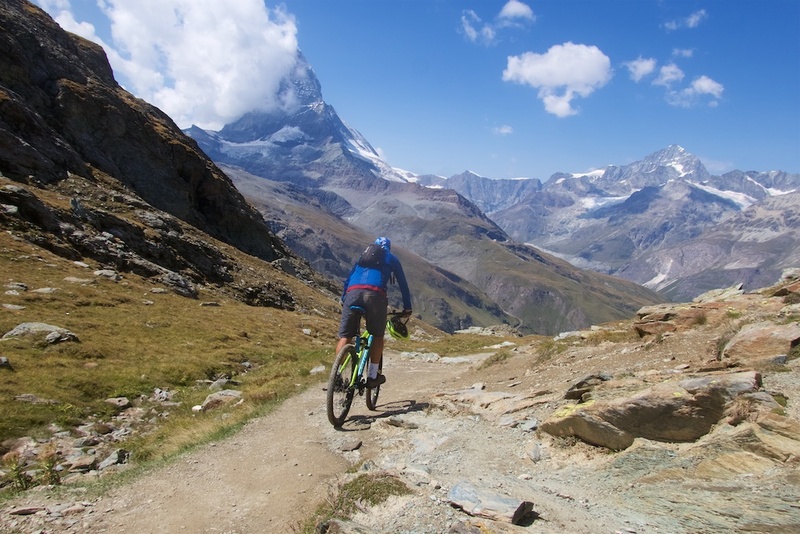 I think it’s more fun with a mountain bike but possible with a gravel bike but the wider the tires the better. 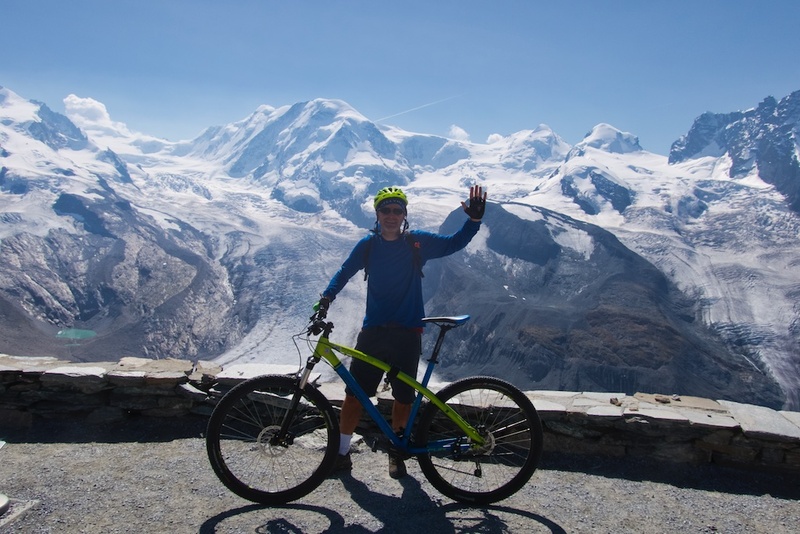 I planned to start in Visp and ride up the Gornergrat. For the way back I’ll take the train.